Education: Born in Italy on December 21, 1973, Monica Bollani graduated in chemistry in 1997 at the Università degli Studi di Milano with 109/110, defending an experimental thesis on self-assembled organic monolayer systems on silicon surfaces. She obtained a European PhD degree in November 2000 in Materials Physics from the University of Aix-Marseille III (France) with a “very honorable” mention. The subject of the European PhD thesis concerned microscopic and spectroscopic analysis of self-assembled sensors on silicon for applications in opto-nanoelectronics. A four-year post-doc position for a research activity related to the growth of semiconductors and microscopy caracherizations was carried out partly in Zurich (ETH) and partly at the L-NESS (Politecnico) in Como. 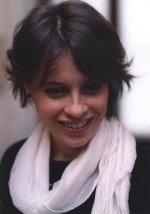 Since May 2006 she has been part of the optical and electron-beam lithography group, mainly dedicated to nanostructurization of low-dimensional systems (field-effect transistors and diodes) and to the patterning on Si and Ge substrates for the growth of regular arrays of three-dimensional islands or nanometer-scale mesa structures. In February 2009 she was appointed permanent researcher in CNR, at the Milano branch of the Institute of Photonics and Nanotechnology (IFN). The main work site is currently the L-NESS. She holds 30+ publications in international peer-reviewed journals.